Increase 4G Capacity & Build Strong Foundations for 5G in the UK , David Hilliard – Mentor CEO – explains how Mentor’s ‘Mobile-Centric’ Fibre is helping to reform UK Telecoms. What trends are you noticing developing in Britain’s mobile connectivity landscape? Network densification is the key trend for us - for two reasons. To boost capacity for 4G - and to shore up the deployment of high frequency spectrum for 5G. Massive MIMO antenna usage is also growing, but this is very much the last ‘roll of the dice’ for Macro base stations, before densification is inescapable. Densification brings a wealth of exciting technologies - like Small Cells and Cloud-RAN solutions. But a crucial piece of the jigsaw is still missing. And that’s Dark Fibre. It’s essential to deliver two things. The very high bandwidth required for densification – and the “clear pipes” needed for Cloud-RAN. It’s also crucial to tear down the questionable link between line speed and circuit rental cost from BT. This is crucial for the mobile operators to escape the nonsensical and superfluous cost burden they would be left with. Tell us a little about the network deployment economics involved for - Mobile Network Operators. Are margins sufficiently high to facilitate the necessary levels of investment? We don’t believe the Mobile industry can afford to implement densification based on BT’s EAD prices, even with recent price reductions. These price levels will strangle plans to make full use of the 4G potential - and distort the 5G network topology at birth. We recognise this and have a plan to slash the total cost of owning the fibre networks required for densification in our city centres. It’s called ‘Mobile-Centric’ Fibre. What is the role of BT/Openreach in supporting the MNOs on 5G rollout? No doubt, BT/Openreach will provide the fibre EE needs to build extra 4G capacity and get moving on 5G. But, defeating Ofcom’s dark fibre obligation will, in the long run, prove to have been an error of judgment. BT/Openreach have now virtually eliminated themselves from any competition to supply the massive quantities of dark fibre needed for densification. What is more, it’s never a good idea to threaten a rival’s continued existence. We are sure BT will continue to supply and manage EAD type connections for existing Macro tower sites – and even ride the next wave of capacity upgrades to 10Gb/s circuits. But the independent MNO’s will look elsewhere for the dark fibre they need. They have no choice. What is the potential role for Alt-nets? ‘Mobile-Centric’ Dark Fibre is a massive opportunity for the Alt.nets. But, our demand analysis shows their existing fibre assets are not in the streets where densification is needed first. Eventually, they will build-out to reach the required locations. And they will be well-placed to benefit from later waves of densification. Our ‘Mobile-Centric’ Fibre blueprint clearly shows how they can rapidly add new capacity and coverage with sewer assets. Miles of very high-strand count fibre can be put in quickly, with low disruption to our busy streets. We expect the sheer scale of this opportunity to drive aggressive and creative pricing approaches. Breaking away from pricing, relative to BT EAD products is long overdue. We would like to see Alt.nets take on the more imaginative pricing approaches from countries where there are vibrant dark fibre markets already - like the US, Asia and even the Nordics. What predictions do you have for the market in the next 18 months? We believe the Mobile operators will team up with selected Alt.nets to build massive city centre Dark Fibre capacity - and this will ‘release the brakes’ for mobile network densification. Our ‘Mobile-Centric’ Fibre design shows we can beat the target price for a small cell infrastructure of £1.5k Opex per annum. This is the price-point to spark off a mass rollout of small cells. In this business, scale is our friend. The more operators participate, the more closely-packed densification becomes - and the cheaper it gets. We also know economies of scope like ‘supercharging’ local Full Fibre networks will improve investment returns even further. And, in combination with access to BT’s ducts and poles, will more than halve the cost of passing each home for Full Fibre. What new technologies are you particularly interested in at the moment and how will they help to transform the Britain’s connectivity landscape? We have no doubt access to BT’s Ducts and Poles will transform the speed and cost of building UK Alternative fibre networks, whether for Mobile, Full Fibre, or both. It’s too early to say if this service will be a pipedream or nightmare. It’s hardly new technology – but it is indispensable. Sharon White, Ofcom’s Chief said recently BT’s network was a ‘Victorian era copper network.’ We are solidly behind Ofcom’s initiative to improve access to BT’s Duct’s and Poles, so other communications providers can lay their own fibre. It’s not hard to imagine demand for a bunch of civil engineering innovations ‘on the double’ to deal with blockages, congestion and general decay. That’s just about guaranteed. David Hilliard will be speaking on Day One of the forthcoming Connected Britain event. A key part of the Gigabit Britain Stream, David will be taking part in a session entitled "5G Fibre Deployment: Economic, Fast, and Flexible," at 14:10. In this interview with Total Telecom, David Hilliard – Mentor CEO – explains how Mentor’s ‘Mobile-Centric’ Fibre is helping to reform UK Telecoms. Network densification is the key trend for us – for two reasons. To boost capacity for 4G – and to shore up the deployment of high frequency spectrum for 5G. Densification brings a wealth of exciting technologies – like Small Cells and Cloud-RAN solutions. But a crucial piece of the jigsaw is still missing. And that’s Dark Fibre. Tell us a little about the network deployment economics involved for – Mobile Network Operators. Are margins sufficiently high to facilitate the necessary levels of investment? We don’t believe the Mobile industry can afford to implement densification based on BT’s EAD prices, even with recent price reductions. These price levels will strangle plans to make full use of the 4G potential – and distort the 5G network topology at birth. We expect the sheer scale of this opportunity to drive aggressive and creative pricing approaches. Breaking away from pricing, relative to BT EAD products is long overdue. We would like to see Alt.nets take on the more imaginative pricing approaches from countries where there are vibrant dark fibre markets already – like the US, Asia and even the Nordics. 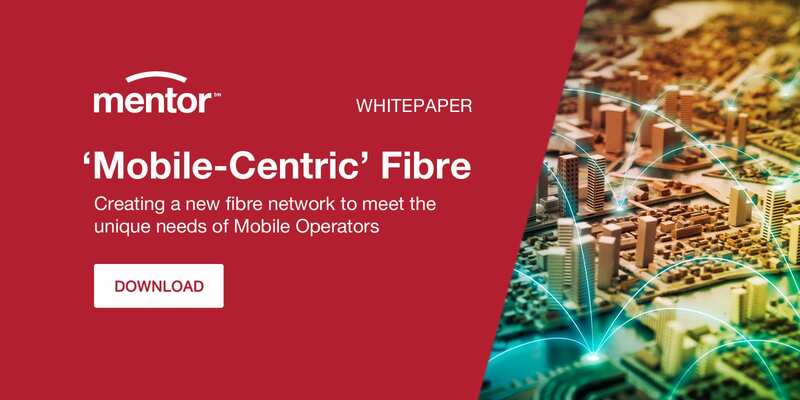 We believe the Mobile operators will team up with selected Alt.nets to build massive city centre Dark Fibre capacity – and this will ‘release the brakes’ for mobile network densification. In this business, scale is our friend. The more operators participate, the more closely-packed densification becomes – and the cheaper it gets. David Hilliard will be speaking on Day One of the forthcoming Connected Britain event. A key part of the Gigabit Britain Stream, David will be taking part in a session entitled “5G Fibre Deployment: Economic, Fast, and Flexible,” at 14:10.